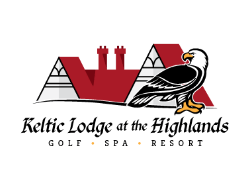 Keltic Lodge at the Highlands is widely regarded as the premier resort in the Maritimes, and among the best authentic experiences in Canada. It delivers the perfect getaway you’re looking for, with 120 rooms, multiple styles of accommodations, and a price point for every budget. The Spa at Keltic, is built on the edge of the cliffs of Middle Head Peninsula. Featuring panoramic views of Cape Smokey and the sandy shores of Ingonish Beach, their serene setting will calm and nourish your spirit. Relax in their ocean view lounge or patio, while sipping herbal tea or spa water, and nibbling on an oatcake or two. Their passionate and professional team of spa associates will deliver you from the cares of the day, with treatments that will bring harmony and happiness to your body, mind and soul. Nearby is the Cape Breton Highlands Golf Course, which is certainly one of a kind. Conceived and constructed under the watchful eye of world-renowned designer Stanley Thompson, it is a classic 18-hole, par 72 course carved out of one of Canada’s most pristine wildernesses. Come experience golfing in a way you never have before! Their course has beautiful views around every corner, as well as nature being all around you while playing through the Cape Breton Highlands National Park. At the Arduaine Restaurant, Chef Daryl Mac Donnell and his skilled culinary team have an exciting array of Cape Breton flavors that showcase the best of Atlantic Canada’s proteins, fish and seasonal produce. The Purple Thistle Dining Room guarantees a unique and authentic Nova Scotia dining experience. Whether it’s cutting fresh herbs from their gardens, picking dandelions to create delicious local oils or working with local vineyards and wineries, you will be offered a culinary experience like no other. The Highland Sitting Room delivers the true Cape Breton experience you’re looking for during your stay with a seafood-inspired, light pub fare menu and nightly entertainment with a Celtic flair.